Last October we had lifestyle photos taken by my dear friend, Lily Glass, and I couldn't be happier with the results. The last time we had a professional portraits taken Caleb was turning one; so we were definitely overdue. 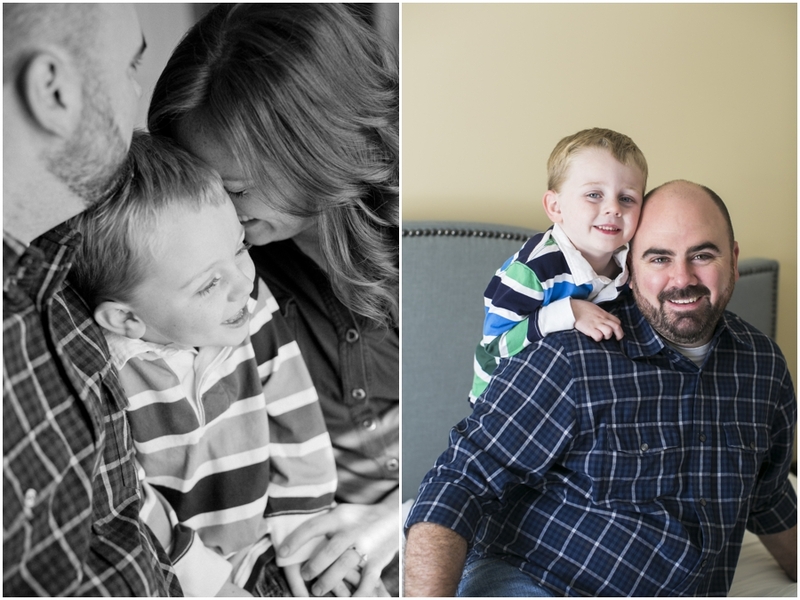 I truly understand the importance of hiring a professional to document a growing family. But I also understand all the reasons why one might want to postpone taking them. Sometimes it's something fairly simple, like "my home isn't photo-worthy" or "I want to lose the baby weight first" or "I don't know what to wear" or "I'm not photogenic." Or there could be a deeper reason. We have wanted to grow our family and have experienced too many heartbreaking losses in the process. I think that I was waiting for things to work out for us before we could photograph our family. But last fall I decided that now is the time to document our family's story- during the struggles and the waiting and the hoping. 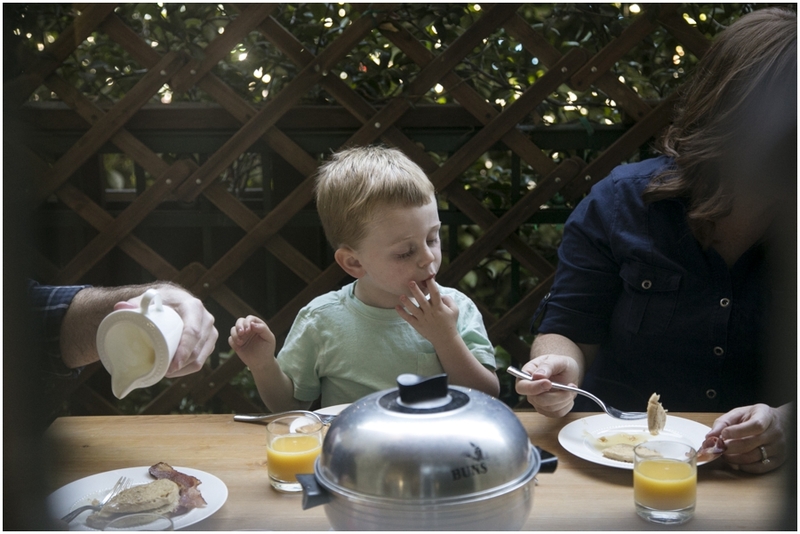 So Lily documented a snippet of our story one morning that included a few of our favorite things- enjoying pancakes together and laughing with our amazing little boy. When I look at these candid moments I see God's grace and love in our lives. I see how lucky I am to have Brandon and Caleb in my life. I look at these pictures and I see that we are still here together, through all the struggles. Laughing together. Our story isn't over. But even as we look to the future, I am reminded that all we have is today. All we have is each other and a life to live today. And I'm so grateful for that. I love getting to reconnect with my families every year and being a part of their lives. Documenting the growth, changes, and even new additions to the family makes my work as a photographer so meaningful to me. 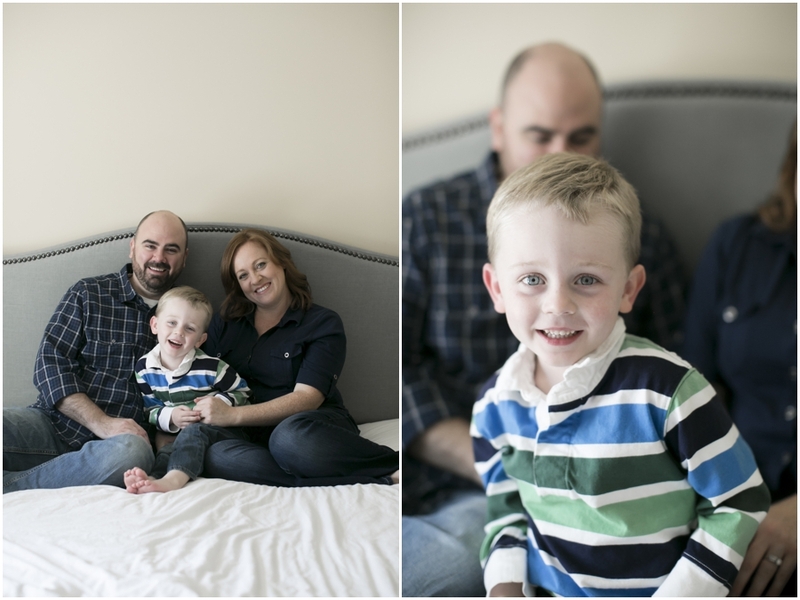 Family portraits create beautiful holiday cards and one-of-a-kind holiday gifts - especially for grandparents! A few dates are still available for booking this year. Schedule your session to take place before November 15th to receive your portraits in time for the holidays. Wishing the happiest of birthdays to my little man! We had a great time celebrating his third birthday with friends and family a few weeks ago. He is such a joy and getting to be his mama is amazing. I'm so thankful that God gave us this miracle and we love him more than words can begin to express. During newborn portrait sessions, I find my focus shifting as I strive to create timeless, beautiful images that will still be stunning years from now. My favorite images are the genuine, unposed moments when the new parents snuggle and dote on their new baby. New babies always are happier when they are being held close by mom or dad, rather than being forced into whatever is the current, popular, newborn pose. 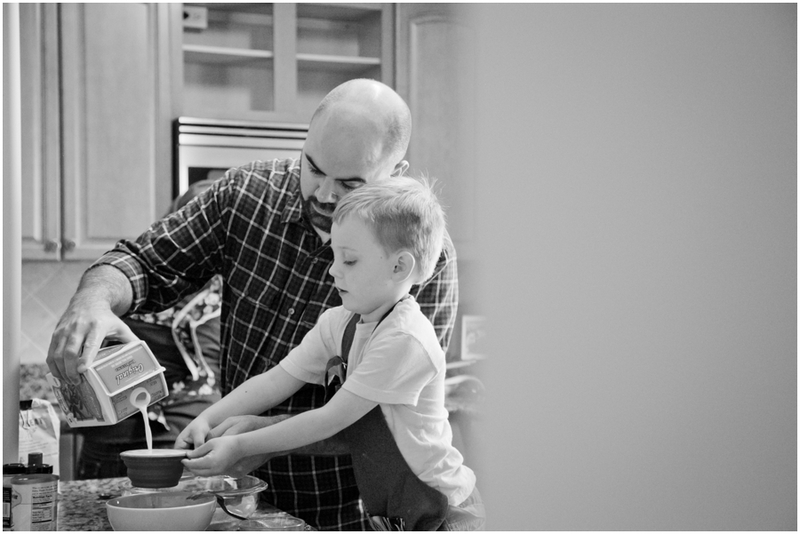 I find myself creating the images that I would want of my own children and my own family. I love natural, candid, genuine images that not only serve to remember the fleeting newborn weeks, but that also show the real love between family members. Looking back at some of my newborn portrait sessions, I am drawn to these images that are natural and genuine. I believe that these images will stand the test of time and that over the years they will become as meaningful to the tiny subjects as they are to their parents. I'm thrilled to share that my work has been featured in Los Angeles edition of The Bump magazine! It is such an honor to be included and so exciting to see images of the lovely families I've worked with printed in a magazine. The Bump is a wonderful resource for moms-to-be as well as new moms. Not only do they create a delightful, quarterly magazine but they also have a fabulous online presence with lots of helpful ideas, articles, and resources. If you are pregnant or a new mom, I highly recommend that you check out their website for your local area. The Bump Los Angeles can be found HERE on their website. I am so grateful for the families that have trusted and supported me along the way in my photography journey. I want to specifically thank the four families that gave their encouragement and permission to share these images in The Bump magazine. I love each one of these portrait sessions and I feel like these images truly show the style and heart of my photography.